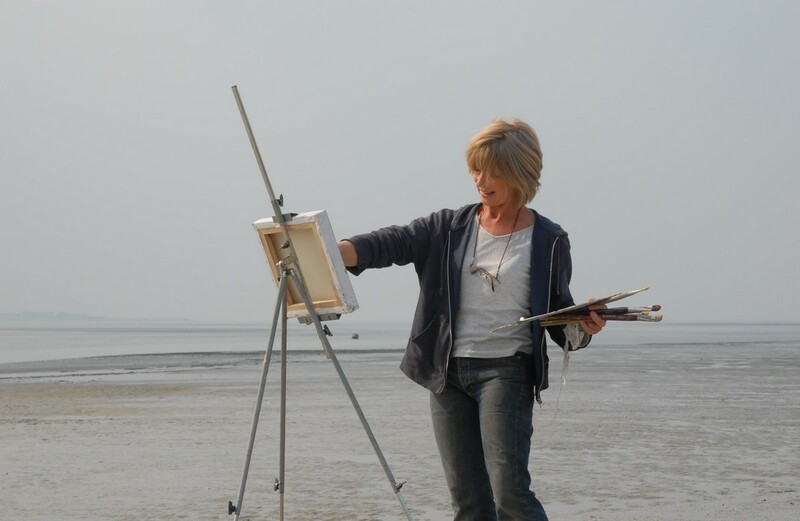 Pippa Darbyshire, originally from England, has chosen to live in Noyelles-sur-Mer... to paint the Baie! Be sure to visit her surprising café/gallery, a timeless place which become the meeting place for locals - natives and artists. Enjoy a cup of tea (and some of her famous carrot cake or her drop-dead delicious pancakes) and some gentle banter. At the back of the room, with its eclectic décor, you can see Pippa's paintings of the Baie - in all its colours and shades. Pippa Darbyshire is originally from England. 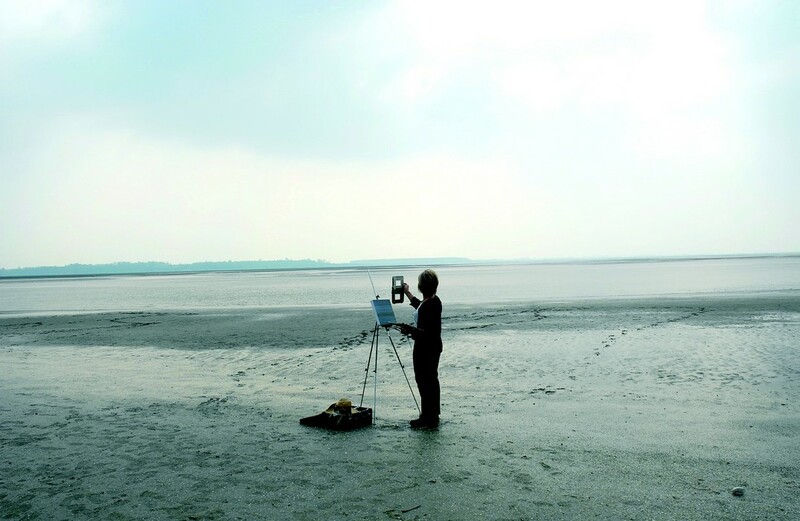 Today, she lives in Noyelles sur Mer in the Baie de Somme, where she puts her artistic talent to painting landscapes of the Baie. Pippa and her husband, Peter, own “Le Relais de la Baie”, a café-gallery where her works are on display. Her paintings of the Baie are figurative, leaning towards abstract, and ranging in size from miniature to huge paintings. The “Relais de la Baie” has become a meeting point for the region’s artists. Pippa welcomes visitors here, talks to them about her work and her passion for these wonderful landscapes that she loves to paint.